Remote eNotarization not only converts the traditional process of notarization to a completely electronic one, it also strengthens security. SIGNiX, the leading provider of Independent E-Signatures™ and remote electronic notarization, announced today that firm leaders will participate in the National Notary Association’s (NNA) 38th Annual Conference and serve on two panels discussing technology developments with eNotarization. The conference will be held at the Hyatt Regency Orange County in Garden Grove, CA, June 5-8, 2016. SIGNiX’s director of business development, Brian Felker, will serve as a panelist to discuss “What’s New with eNotarization”. Brian will also demonstrate SIGNiX’s eNotary product during a special presentation in the Exhibit Hall. 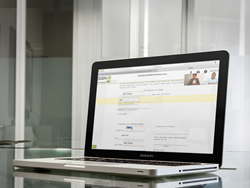 SIGNiX’s eNotaryDoX provides a secure remote or in person electronic notarization service. It not only uses standards-based digital signatures that protect the document from tampering, it also offers TotalAudit™, a highly detailed record of the signature and notary process itself. In addition, SIGNiX enables strong, multi-factor authentication options like knowledge-based authentication to positively verify the identity of remote signers. Every year, the NNA’s annual Conference brings together hundreds of Notary professionals from around the country, who work in a multitude of industries, for an unparalleled networking and educational experience. The conference features hands-on workshops and open-forum discussions from experts across the country, engaging keynote sessions, and networking opportunities spanning multiple professions – all designed to help attendees succeed in their role as a Notary, avoid liability and protect the public. For more information on registration for the Conference, visit https://www.nationalnotary.org/conference/general-info/registration-info. You can also follow the conference on LinkedIn, Facebook and Twitter using #NNA2016. For more information, visit http://www.signix.com. You can also follow SIGNiX on Twitter @signixsolutions, LinkedIn, Facebook and Instagram.